A firm understanding of network meta-analyses is imperative for interpretation of data included into a Global Value Dossier in order to provide strategic recommendations to clients regarding evidence generation or product development strategy. 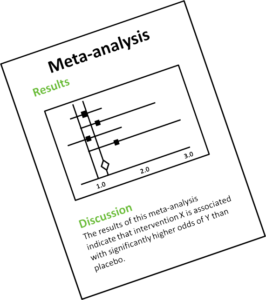 As a powerful statistical tool to analyse large collections of evidence from individual studies, results from network meta-analyses are often included in Health Technology Assessment submissions and/or health economics models, which are used for policy decision-making. Adelphi Values | PROVE has extensive experience in the development of comparative effectiveness studies. We have undertaken meta-analyses, indirect comparisons (Bucher method) and mixed treatment comparisons (MTC using WinBUGS14, NETMETA XL and R) across a range of therapy areas including auto-immune diseases and oncology. We have experience in both frequentist and Bayesian approaches for MTC and ensure all our analyses adhere to international health technology appraisal guidelines (i.e. NICE, CADTH, HAS and IQWIG) and ISPOR best practice (ISPOR Task Force on Indirect Treatment Comparisons Good Research Practice). To keep abreast of emerging techniques, we also have an established network of academic and other research partners with expertise in comparative effectiveness research.